The 2017 freshman class poses at Freshman Convocation. 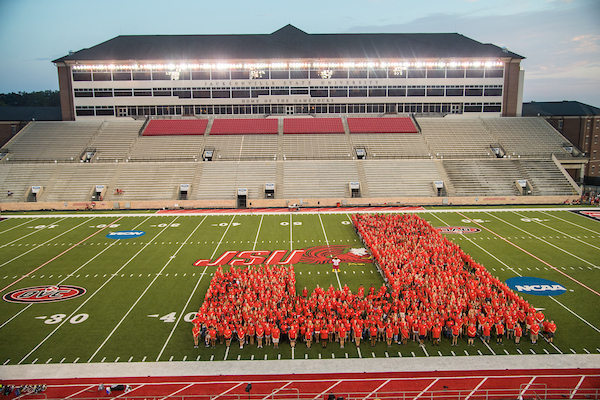 Jacksonville State University has admitted more than 2,600 new students so far into the Fall 2018 freshman class! Check out the full list of new Gamecocks on the JSU Merit Page. New students will continue to be admitted through the first days of class in August. Apply today! Note: Don’t see a name you’re looking for on the list? Names were pulled after Accepted Students Day on Feb. 16 and will continue to be updated through the Fall semester.